Where some dentists may consider removing a tooth due to an infected root canal, we are able to undertake further procedures to try and save the tooth. Cesar has a passion for this type of dentistry and, combined with years of education and experience, is able to perform complex root canal treatments. We often hear patients say that endodontic treatment gave them hope when they thought teeth loss was inevitable. 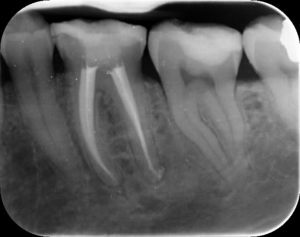 In this blog Cesar answers some of the most commonly asked questions about Root Canal Treatment. 1) What is root canal treatment and when is it necessary? 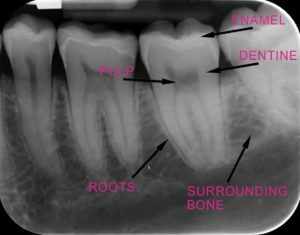 Our teeth are made up of an outer band of enamel, underneath which lies the dentine. Inside the dentine there is a soft tissue called pulp. The pulp contains nerves and blood vessels. Sometimes, when patients have deep cavities, when they knock a tooth or have severe gum disease, the nerve of the tooth may become inflamed or infected. This is when root canal treatment is usually advisable. Root canal treatment is the removal of the remnants of the pulp followed by disinfection of the bacteria that reside inside the canal, where the nerve used to be. 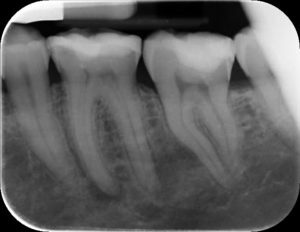 2) Is root canal treatment painful and are there any side effects? Root canal treatment itself is not painful as it is performed under a local anaesthetic meaning that the area will be numb. Patients often arrive in a lot of pain, which they then relate to root canal treatment. The infection in the tooth can cause further problems when eating or chewing and some report disturbed sleep. The pain is described as a throb or a pulsing, which is constant and does not subside with the use of painkillers. When you see your dentist, they will always undertake a thorough assessment including taking some x-rays to confirm the diagnosis. An x-ray may show some infection at the tips of the roots. 3) What does the procedure involve? Root canal treatment is actually; in the majority of cases a pain free procedure and many patients report snoozing whilst in the chair. It is however a lengthy process because it is very fiddly. 4) Will I need any further treatment afterwards? Following root canal treatment your dentist will place a filling in the remaining tooth as well as a crown to prevent the tooth from fracturing. This is because after root canal treatment the tooth is weaker structurally and may fracture. Crowning the tooth prevents this from happening by holding the tooth together. 5) Why have root canal treatment? What are the benefits and are there alternatives? The rationale behind root canal treatment is to attempt to keep the tooth in the mouth functioning for as long as possible. The alternative is to remove the tooth and replace with an implant, a bridge or denture if these are necessary and feasible options. At K Dental Studios, we feel that where possible, keeping your natural tooth will enable you to have more options of tooth replacement in the future. 6) Who should perform my root canal treatment? Most dentists can perform root canal treatment. In order to have the best possible result and possibility of long-term success however, a dentist who has had further training in just root canal treatments would be our preferred option. 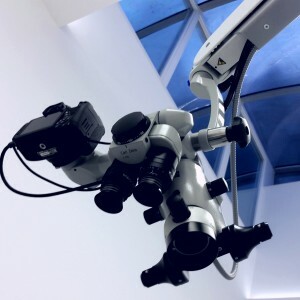 The reason for this is that these dentists have had more experience in complex cases, are more accustomed with the latest materials and above all can use a microscope to be able to access more of the canals of the tooth in order to disinfect them. For any questions about Root Canal Treatment and indeed any concerns you may have regarding failing teeth, speak to our dentists who will be more than happy to assist you. For a consultation call (0207 637 8484) or email us for more information.